Elite "Hot Shot" & Logistics has been proudly serving several areas in southeast Louisiana, including (but not limited to) Baton Rouge, New Orleans, Houma, LaPlace, Norco, and surrounding areas. 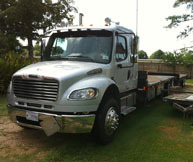 Our hot shot trucking rates are extremely competitive and deliveries are always on time. Whether you're a customer from Baton Rouge to New Orleans, our number one priority is keeping you happy with our services. 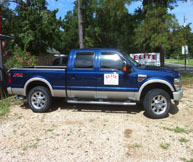 Elite "Hot Shot" & Logistics is a growing transportation and delivery service in Louisiana. We provide quality shipping and transportation services on a 24/7 365 basis. Why Choose Elite "Hot Shot", Inc.? 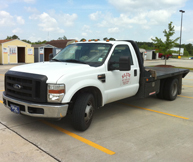 Elite "Hot Shot", Inc. is licensed and fully insured for local and long distance deliveries. 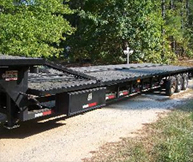 We have a wide variety of trucks and trailers that will certainly meet any of your needs. We have the experience and knowledge of the hot shot industry, with excellent work ethics. Having over a decade of experience in the hot shot trucking business, we pride ourselves in maintaining customer satisfaction! What exactly makes Elite "Hot Shot", Inc different from other courier, or delivery companies? That's an easy question. We are not satisfied unless our customers are satisfied. Safety is a big factor. Our team of experienced drivers make sure there are no loose ends when it comes to securing your product we are delivering, giving you peace of mind that everything is in good hands with Elite "Hot Shot", Inc.